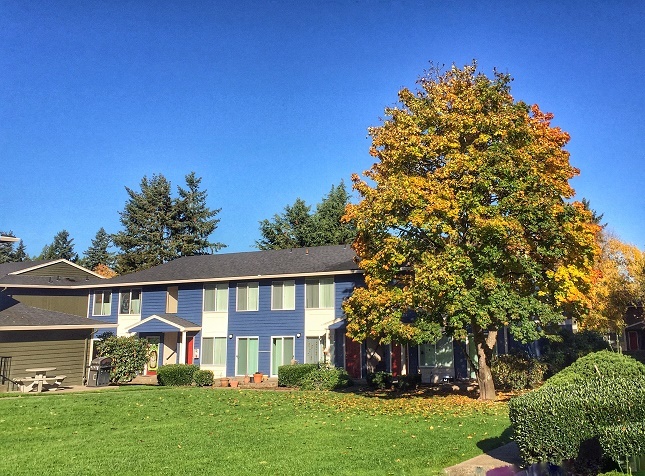 11547 SW 135th Avenue Tigard, OR 97223 — ICM Resources, Inc. 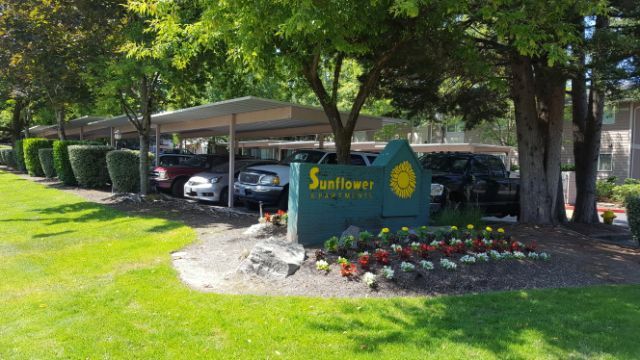 The foliage-rich community, Sunflower Apartments is nestled amid a quiet, suburban neighborhood of single-family dwellings and is just moments away from Washington Square Mall and the Murray Hill Shopping Center. It's only a short walk to Summer Lake Park for a game of tennis, basketball or to simply relax by the lake and read. 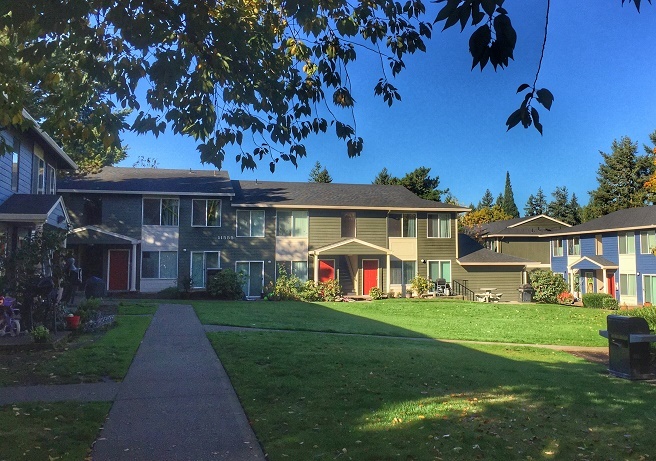 This 238-unit property consists of multiple buildings of one- and two-bedroom apartments, ranging in size from 650-756 square feet. Rents range from $995.00 to $1,075.00. The security deposit amount depends on credit and other factors. Each apartment has heat, ceiling fan, refrigerator, dishwasher, garbage disposal, stove and wall-to-wall carpeting. 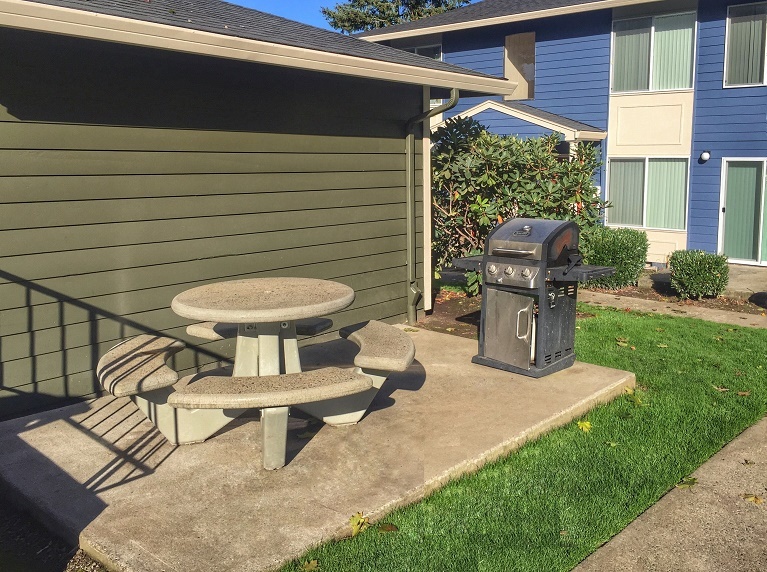 There is covered and uncovered parking, private garages (when available for an extra fee) and there are multiple coin-op laundry rooms on the premises. The property boasts a refreshing swimming pool, sports court, fitness center and playground areas for children. Age, weight and breed restrictions apply to all pets. The pictures displayed may not be of the actual availability, but are merely representative of the general or overall style. Please be sure to arrange a viewing prior to applying. For availability and showings, please contact the on-site Resident Manager at the number listed at the top of this page.